It's been an extraordinary day for one teenage cellist, Sheku Kanneh-Mason. Kanneh-Mason sensational performance at the Royal Wedding of Prince Harry and Meghan Markle - now the Duke and Duchess of Sussex - stunned honoured guests at the ceremony and a billion more watching around the world. George Clooney's wife Amal was spellbound and Markle's mother Doria Ragland welled up when Kanneh-Mason performed. What's more, Kanneh-Mason has broken new ground on May 19 - becoming the first classical musician to take over the official Instagram Stories account, followed by 235 million people. Kanneh-Mason shared videos and photos of his preparations for the big day, as well as intimate behind-the-scenes photos and clips from the event. Kanneh-Mason follows in the footsteps of other major stars to be featured on the social media platform - from Taylor Swift and Lady Gaga to Liam Payne and Michelle Obama. 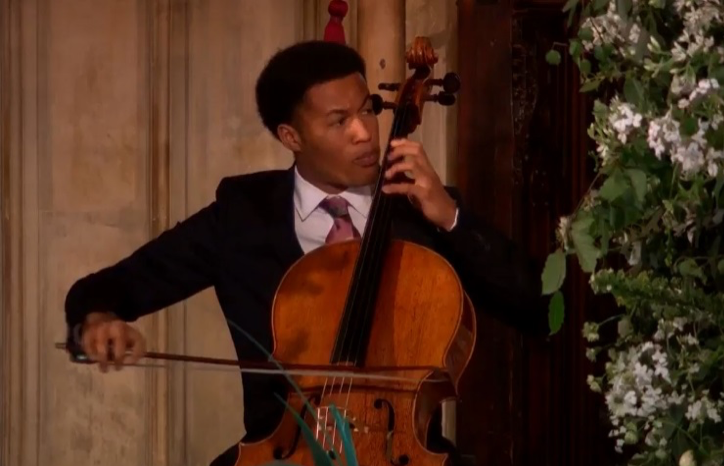 Kanneh-Mason performed three pieces at the Royal Wedding, having been personally invited to play by the bride and groom. The 19-year-old musician took centre stage at St George's Chapel, Windsor Castle, for the all-important signing of the register. Dressed in a black Paul Smith suit with vibrant pink tie, he gave moving performances of Sicilienne by von Paradis, Schubert's Ave Maria, and Après Un Rêve by Fauré. Kanneh-Mason was thrilled to be involved in the occasion. "It was such an awesome moment - just really incredible to perform for Prince Harry and Meghan at their wedding! The atmosphere was amazing and I'm proud to have played a small part in the celebrations. It's a day I will remember for the rest of my life," Kanneh-Mason said. Kanneh-Mason's captivating performance has seen him gain thousands of new fans and garnered critical praise with CNN calling his performance "breathtaking" and Esquire describing Kanneh-Mason as a "cello rockstar". Fans will be able to listen again to Kanneh-Mason s emotional performance on The Official Recording of The Royal Wedding, which is out today on all streaming services - a first for a Royal Wedding. It will be released as a physical album on May 25 and will also be made available on vinyl. 19-year-old cellist Sheku Kanneh-Mason first garnered public attention as winner of BBC Young Musician 2016. He made his BBC Proms debut the following year, and released his first album, 'Inspiration', earlier this year on Decca Classics. It entered the Top 20 in the Official UK Albums Chart, making him the youngest cellist ever to do so, and he also became one of this year's biggest breakthrough artists - across any genre. His beautiful cello arrangement of Bob Marley's 'No Woman, No Cry' went viral worldwide. Sheku has been on a whirlwind adventure in the past few years - performing twice at the BAFTAs, playing at 10 Downing Street for the 30th anniversary of Black History Month, making his Carnegie Hall debut, performing at Paris Fashion Week, as well as high-profile TV appearances (including two BBC documentaries) and a busy international concert career. Sheku is currently studying at the Royal Academy of Music. He is passionate about making classical music accessible to all and is Junior Ambassador for the music education charity London Music Masters. He comes from an incredible musical family in which all 6 of his siblings (he is the third child of 7) play instruments to a phenomenally high standard - yet neither parents are musicians.